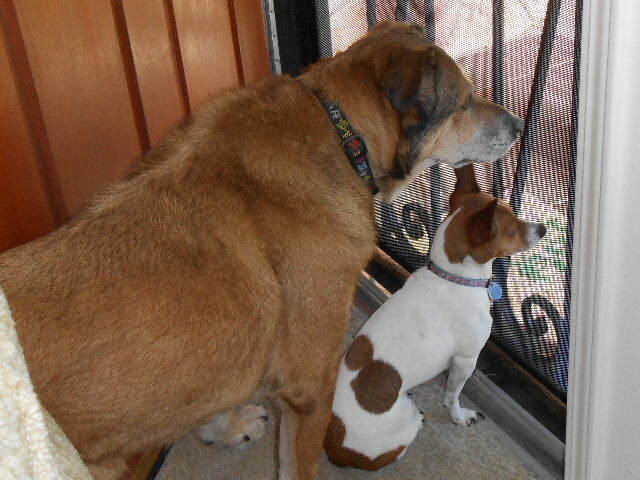 I’m participating in Ruthi’s and Valentino’s PAWSit Dog Hop Saturday. This one is a week late, but I thought I’d go with it anyway. The question this week is what is my dog’s favorite treat. Since we’re talking about Misha, the answer could be “all of them.” She will eat anything… seriously. 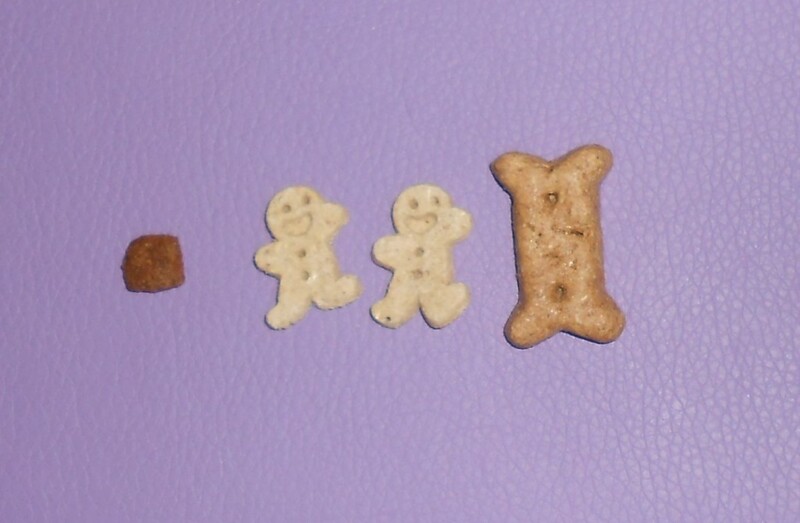 She really loves the Itty Bitty Buddy Biscuits and the Old Mother Hubbard Mini Bones. Any flavor will do, but this dog is partial to peanut butter. Put anything peanut butter in front of Misha and you’ve got a friend for life. These treats are small enough that she can have a couple and I don’t have to worry about her gaining weight. As you can see the Itty Bitty Buddy Biscuits aren’t much bigger than her kibble. The Old Mother Hubbards are a little bigger and thicker. Recently, I bought her the Buddy Biscuit soft chews on accident. They smell just like peanut butter. Misha practically knocks me down to get them. That ol’ Jack Russell Terrier enthusiasm! It is difficult to maintain the weight of a tiny canine. One treat can be equal to a meal if they are too big. I give her vegetables during the day to ward off being followed relentlessly. Misha loves all sorts of veggies. Anything that hits the floor she’ll devour. But, her favorites are baby carrots and broccoli. I love giving her these for a snack. They’re good for her and she feels a bit special getting some people food. The only thing I have to worry about is giving her big pieces. Never give Misha an entire baby carrot. She eats it whole, no chewing. I need not describe how it comes out. Please read my article on How to Select Dog Treats for Small Dogs for more information on why it is important to buy the right sized treats.